Margaret “Peggy” Leah (Acheson) Burak, age 82, a Hopewell Township resident since 1962, passed away peacefully with her family present on Friday, November 2, 2018 at the Good Samaritan Hospice at Heritage Valley Beaver. Peggy was born in Glenwillard on November 14, 1935, one of 5 children to the late Walter and Margaret (McCarrhier) Acheson. Beloved wife for 64 years to Robert M. Burak; loving mother of Robert M. (Barbara K.) Burak, Jr. of Willoughby, OH, Pamela A. (Robert J.) Rosati of Hopewell and Catherine Burak of St. Augustine, FL; cherished grandmother of Roberta (Jason) Knox, Bradley (Becky) Rosati, Jonathan R. Burak and Allyson K. (Cameron) Duff; adoring great grandmother of Hayden Rosati, Izabelle Knox, Benjamin Rosati, twins Olivia and Madelynn Knox and Cash Duff; sister of the late June Walker Lombardo, Walter Acheson, Wilhemina “Billie” Hollein and Rose Acheson. Also left behind, many loving nieces and nephews. 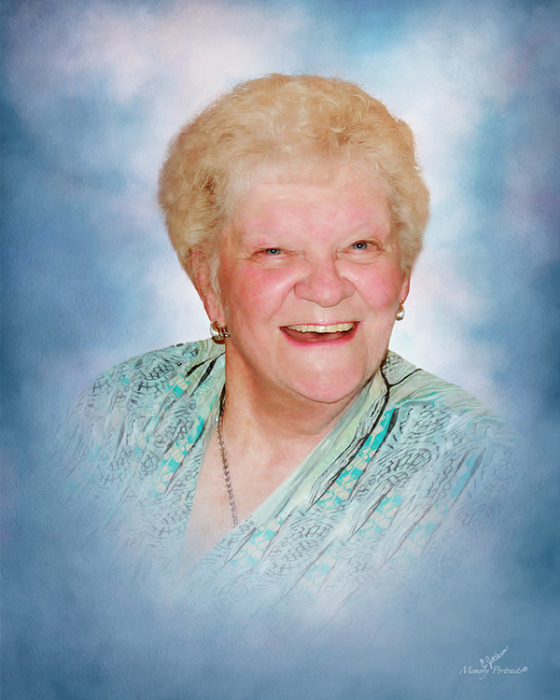 Peggy was a member of New Bethlehem Presbyterian Church, Senior Citizens in Crescent Township, Red Hatters, was PBX operator for Gimbels and delivered Meals on Wheels for 11 years. Peggy was a very warm, positive and fun-loving person. The essence of Peggy was her love for her family. She was a wonderful wife, mom and a doting grandmother. She will be greatly missed by her family and her friends. Visitation Sunday 6-8, and Monday 2-4, 6-8 at Copeland’s Moon Township, 981 Brodhead Rd. Everyone please meet at New Bethlehem Presbyterian Church, 183 New Bethlehem Church Rd., Aliquippa, PA 15001 on Tuesday at 10 AM for her service. Entombment will follow in Sylvania Hills Memorial Park. In thankful gratitude for the loving compassion showed to Peggy by Good Samaritan Hospice, and in lieu of flowers, the family would like to suggest donations in her name to Good Samaritan Hospice at Heritage Valley Beaver, 4th FL, Tower B, 1000 Dutch Ridge Rd., Beaver, PA 15009.